The GO! 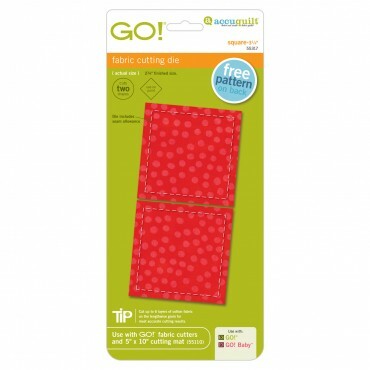 Baby Fabric Cutter is a smaller version of the GO! 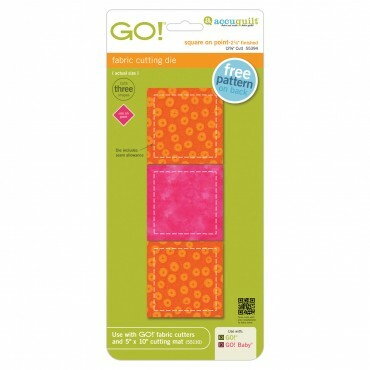 Fabric Cutter and works with more than 130 GO! Dies. Plus, at only 8.5 lbs., it's ultra-portable and easy to store. 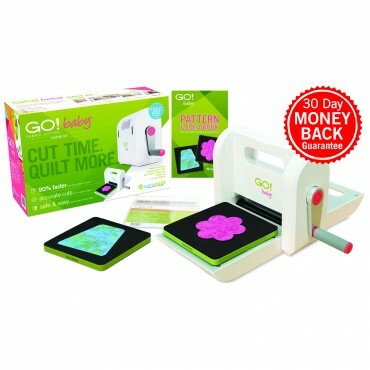 The starter set includes two dies - GO! Flower and GO! Tumbler and one cutting mat. It measures 12 1/2" W x 4 1/2" L x 8 1/4" H when closed (including the handle).